Edit: I do not have great command prompt or file system knowledge but does ".." (Two dots) mean move up a directory? Setting up an identical NDK builder configuration with the ExamplePlugin project form appcodingeasy gives the same error. Removed. Again excuse me for excessive posting. About stop button, you probably mean the button when using Gideros player? Il just stick with onDestroy as onPause seems to also get called on screen locks and I don't want to do anything then. It looks like in the example the plugin works through Gideros -> C plugin -> C++ class. However since most ad sdk's have events such as onError and onAdRemove, is it possible to have those JAVA listeners somehow access the C++ class/plugin and tell IT to call an event? I already obviously know how to make the C plugin/class call Java methods but how about the other way around? I am wondering if that piece "dispatch(context, mBuilder, false);" is what sends the event to be processed back by Lua code? Edit: On second thought I see dispatch as being a separate method that does "something else" I am very very new to native development so it would be a great help if you could help me communicate from JAVA and back to Lua via events. As I said in my last post, I saw hope you can dispatch events via a proxy through the C++ class but I have no clue how to do that from a JAVA class from a "listener" method that can be called anytime depending on various uncontrollable factors such as internet speed. Yes dispatch there is something different in Notification plugin, the methods that you are looking for are prefixed as native. So lets take a look at GoogleBilling plugin and start from the start. Native means this method will be called on the C part. So later in java code, when the specific event is received, this native method is called. And we are also passing sData, which was a pointer of our C class. As you see, we are casting our pointer back to class instance and calling specific instance method. Number 1 tells to Gideros event system that free() function should be called on event pointer after dispatching it. And the last argument this, is basically an additional data to pass to event callback (similar like it is in Lua Gideros part) so we can cast instance from static callback method. Last things to do is to handle that on Lua part, thus inside googlebillingbinder.cpp where all the binding is done, there is a dispatchEvent(int type, void *event) method, which basically creates Event object in lua, adds the provided information from event structure and dispatches it. 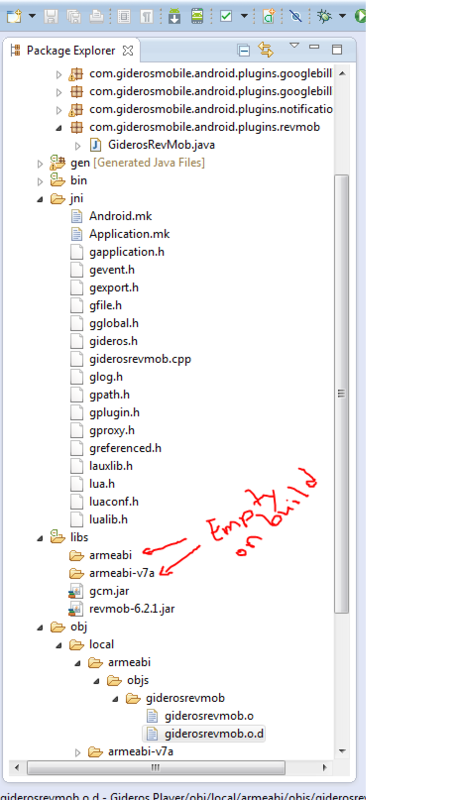 The one question that might remain is how come, if we enqueue event in ggooglebilling.cpp we receive something inside googlebillingbinder.cpp? Which basically as we see in ggooglebilling.cpp adds this instance, that we passed to that internal Gideros structure callbackList_ which then dispatched event to all subscribed methods. @ar2rsawseen wow what a great tutorial. This information should be preserved instead of drowned on forums, why dont you add a new article on docs? Thanks soo much ar2rsawseen. I'm very new to C++ but I think I can manage getting a grip of this eventually. I'll keep working on it!